Slot machine players who grew up in the era when Dungeons and Dragons (D&D) became one of the tabletop games converted into a highly successful video game, will be pleased to know that Konami Gaming Inc. (KGI) is bringing the D&D theme to casino gaming floors. Konami’s new slot machine is currently in exhibit at the ongoing National Indian Gaming Association (NIGA) Gaming Show at the San Diego Convention Center, in San Diego, CA from May 11 to 14, 2014. In January of this year, KGI gained Hasbro Inc’s approval to use the D&D cast of characters, engaging storylines and mythical worlds in developing a new slot game that could attract a diverse range of slot players. After all, D& D’s fame spreads to nearly every household across the globe, starting from its very origin as a tabletop or board game through its evolution as one of the best role playing video games ever developed during its era. Konami’s Dungeons and Dragons slot machine game showcases the adventure of the D&D characters as they embark on quests to search for buried treasures in the dark recesses of mythical dungeons. However, the expectations over a D&D slot machine game could be high, as KGI is not the first to incorporate the theme into a form of slot entertainment. In 2009, IGT came out with a 20 payline online video slot entitled Dungeons and Dragons Fortress of Fortune. It features a mini game bonus round that has players hunting for treasures and engaging in battles to which enemies could be defeated by the outcomes of virtual dice throwing actions. Obviously, the development of a Konami D&D version seems like a daunting task, but a challenge that the gaming company took on without reservation. In terms of physical appearance, KGI is out to impress land-based casino operators seeking for new gaming products that could attract the patronage of the younger generation of gamblers. The slot machine takes a different form, for which its two D&D games namely “Conquests & Treasures” and “Enchanted Riches”, are secured in pods of two, three or four. Merchandising of the slot machine includes high-quality chairs with custom logo, while the machine’s cabinet, features a themed bezel complete with authentic-looking stone designs, glowing ancient symbols and a 3D dragon or a large spinning red dragon as toppers, which vary according to the merchandise package. Ross O’Hanley, KGI’s VP of Domestic Game Sales is quite proud of their collaboration with Hasbro, in bringing the iconic D&D game brand into the gambling industry. 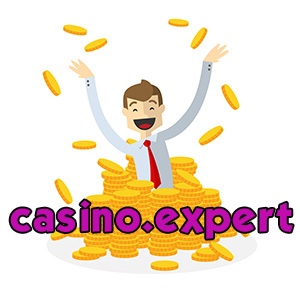 Konami Gaming, Inc. is known worldwide as a leading designer and manufacturer of slot gaming machines and gaming enterprise managements systems. The Las Vegas-based KGI is a subsidiary of Konami Corporation, a corporate entity founded in 1978 in Osaka, Japan by Mr. Kagemasa Kozuki, who up to this date still serves as Board Chairman and Chief Executive Officer.